We understand that your visit to our site will not be under the best of circumstances, but we hope that you will find just what you are looking for here. 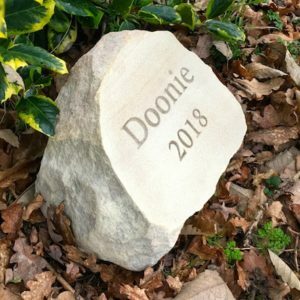 We can offer you a wide range of natural stone pet memorials which blend beautifully into a garden setting and allow you to remember your pets in their favourite places. 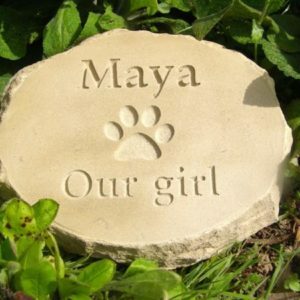 Please view our gallery to see our pet memorials and what our customers say. 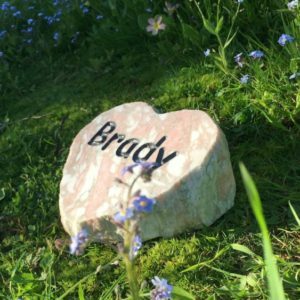 Please also take a look at our handpicked range of pet ashes urns, keepsake jewellery and other products. 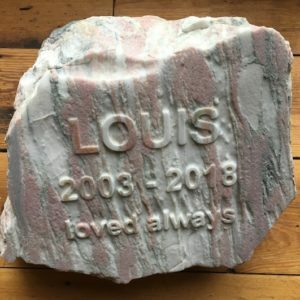 Unique stone pet memorials, add your thoughts and special words in an inscription and be sure that your pet memorial will be just as you expect because of our prooﬁng system. All standard pet memorials are shipped via courier with free mainland UK delivery. 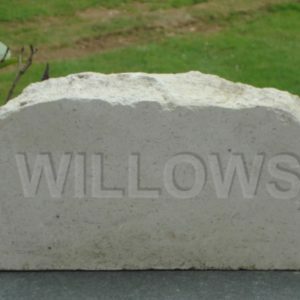 Have a hidden ashes recess in your pet memorial stone or keep their ashes safe in a beautiful urn or photo casket. 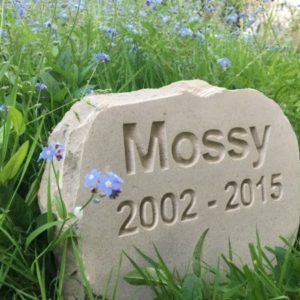 See our Garden Pet Memorials and read what our customers say…..
Running Free was born 8 years ago when our family couldn’t ﬁnd the perfect pet memorial for our cat Mu …. So we made our own, and have been successfully producing them for others ever since. Our family is in it’s 3rd generation of memorial stone masonry, encompassing over 80 years of experience in stoneworks and craftmanship.